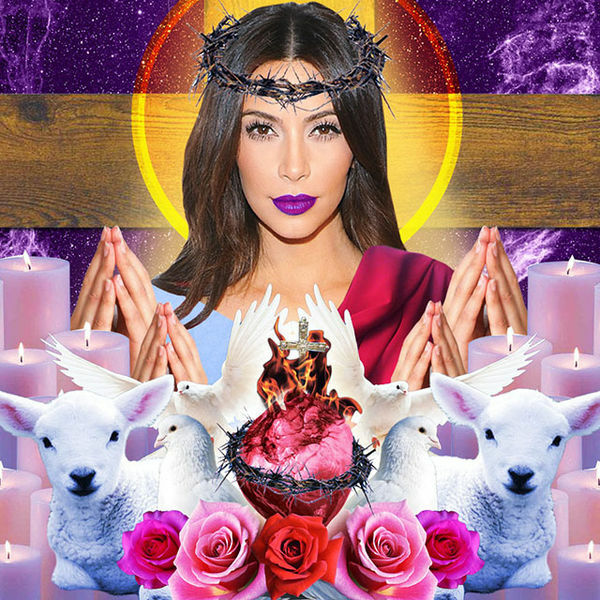 Celebrities have taken on a god-like status in their popularity, with pop culture being a religion most youngsters follow, as this creepy and ironic Kim Kardashian graphic collage proves. The reality star is used as the centric theme in a series of religious-like images, in which Kardashian is adorned with Jewish, Christian and Bahá'í celebratory garb and props according to when each religion has something to celebrate. Created by Brooklyn-based graphic designer Hannah Kunkle, this super strange Kim Kardashian graphic collage makes a strong statement about the power and cult growing of celebrity. "Kim Kardashian is God. 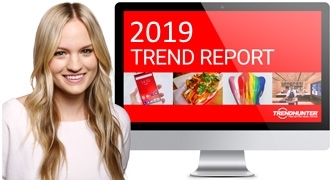 We have accepted her into our lives via television screens, memes, and Instagram feeds. If Jay Z is the father and Yeezus is the son, then she is the ever-present holy ghost of pop culture," says Kunkle.